G.C. 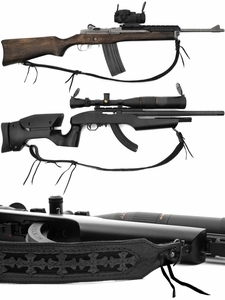 Fortified Rifle Sling is photographed with a Ruger Mini-14 as well as a Ruger 10/22. 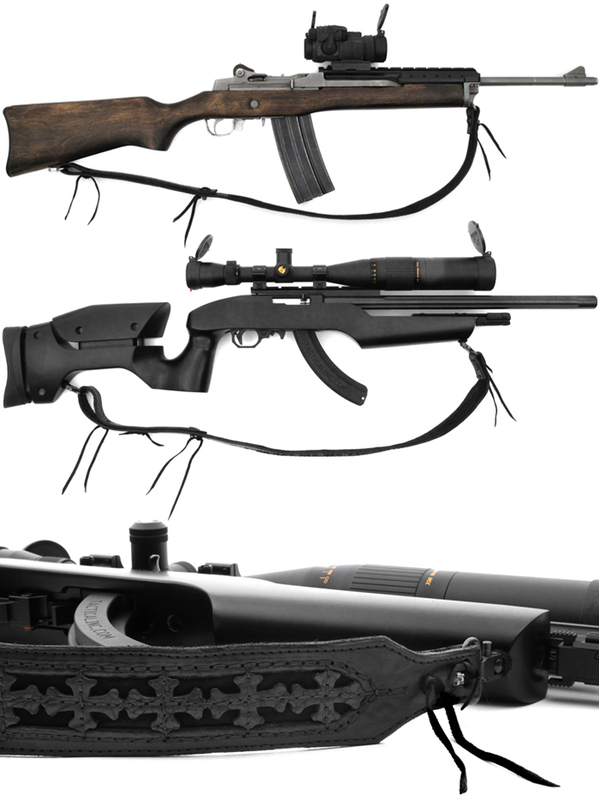 Handmade Gun Slings are assembled using Italian Latigo and Suede and are fitted with Gunmetal Blue Sterling Silver Ball and Post locks. These slings are hand stitched with finished sides. When ordering, please specify your needed finished length so we can punch precise holes into your sling. These slings fit 1" sling swivels. Sling swivels are not included. Handmade with pride in the U.S.A.